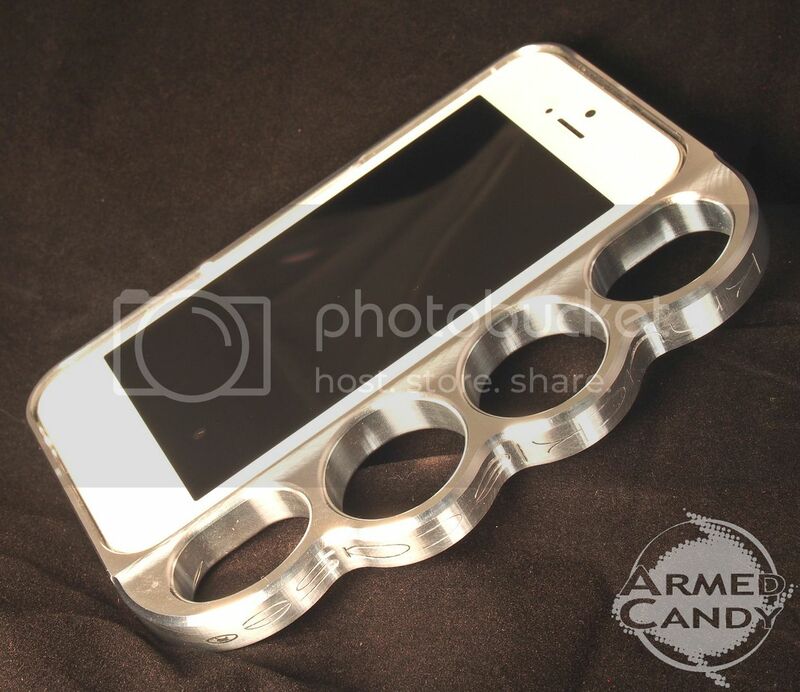 The Knucklecase is stylish all on it's own, but in case the finger grips don't inspire you to hold your phone constantly, you have other options. You could take a carabiner and hook your phone to your belt, if that's how you roll. I can see some wannabe-commando wrapping the finger holes in paracord and rock it all day long. (I say "wannabe" because a real commando would just throw their phone in a big fat Otterbox and call it a day.) But if you're a huntress with an iPhone 4, they have a forest camo finish especially for you! 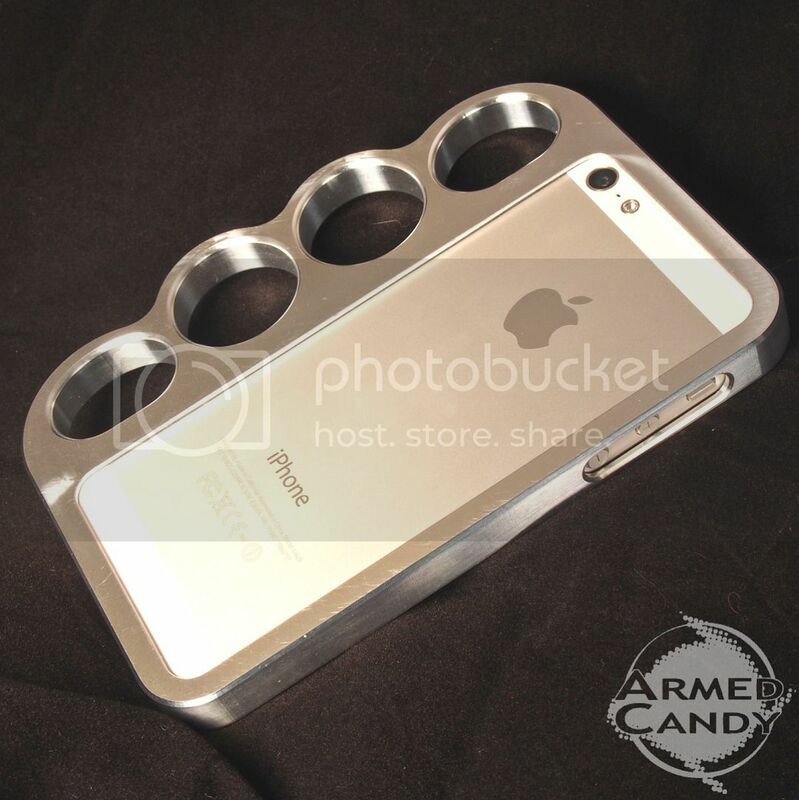 • I'll be far less likely to drop my phone with this case on it! • I can hang my phone anywhere I find a hook! • I can suddenly shoot photos one handed, Hurray!! • The finger holes are on the right hand side, this means you will be predominantly holding the phone in your left hand. If you're not cool with that, tuff. • The website warns, the TSA will take this case away from you in a heartbeat, so don't say they didn't warn you.